Acceptance of the diagnosis of anorexia nervosa during adolescence and the subsequent treatment of this serious disorder, as well as adherence to the therapeutic recommendations, present significant clinical challenges. This is especially true as the core symptoms of the illness are in direct conflict with the medically necessary goals of gaining weight and normalizing eating behaviors. The path to recovery is in strong opposition to the patient’s obsessional thoughts and restrictive food-related behaviors. This remains a critical matter, given the high mortality rate. Various approaches to engage the adolescent will be discussed in this chapter. 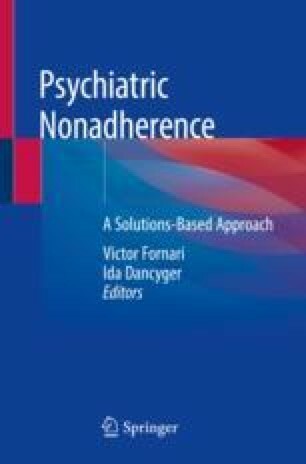 We examine the five factors (social and economic factors, healthcare team and system-related factors, condition-related factors, therapy-related factors, and patient-related factors) contributing to nonadherence and offer strategies from our clinical practice and expertise, the literature, as well as some research findings. World Health Organization (WHO). Adherence to long-term therapies: evidence for action. 2003.; http://www.who.int/chp/knowledge/publications/adherence_report/en/. Accessed 2/5/2018. Royal College of Psychiatrists. MARSIPAN: management of really sick patients with anorexia nervosa. 2nd ed; 2014. http://www.rcpsych.ac.uk/publications/collegereports.aspx.